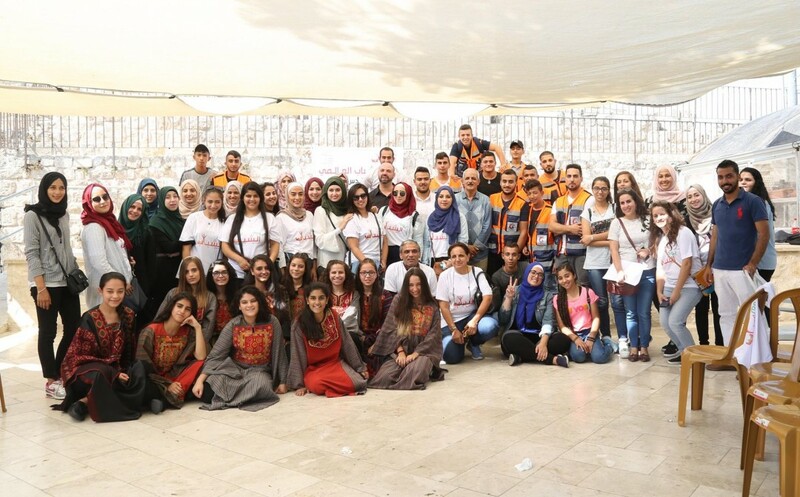 PNGO has celebrated, on Sunday, 17/09/2017 the International Youth Day in Jerusalem with the participation of 7 different organizations within the Network; Burj Al-Luqluq Social Center Society, YWCA, YDD, the Jerusalem Center for Legal Aid, Treatment and Rehabilitation Center for Victims of Torture, in addition to the Palestinian Medical Relief Society, the Family Planning Center and with the participation of a number of youth groups. The activities started with a tour for 150 male and female participants from different Palestinian Universities who were accompanied by Dr. Yousef Al-Natsheh, Khalil Sabri and Mahmoud Jaddeh. The activities continued with the welcoming speech of the representative of PNGO, Samer Daudi who thanked Burj Al-Luqluq for hosting the event that contained a number of entertaining activities such as comedy shows and cultural contests.